There are different ways of making homemade acne treatments. Most of them are very asy to prepare, with the ingredients readily available at stores near you. Homemade acne treatments are much safer because they don't have side effects. Many of the homemade acne treatments are water based, which also helps in promoting good and healthy skin. 1. Baking Soda Paste This is one of the most common homemade treatments for acne. Baking soda paste can be applied directly to the affected areas. It has the ability to reduce redness and itchiness. 2. Oatmeal Oatmeal induces a healthy diet. But it can also be made into a facial mask to treat acne. Make a thick oatmeal paste by adding water into it. Apply it on your face and let it stand for 10 to 20 minutes before washing it off completely. 3. Apple and Honey Apple and honey is an efficient facial mask for those who have oily skin. Just grate an apple and make a fine pulp. Put 4 tablespoons of honey. Apply it on the face and leave for 10 minutes. Rinse off. 4. Egg White and Witch Hazel This combination is also perfect for those who have oily skin coupled with acne problems. Beat an egg white until stiff. Add a few drops of witch hazel and lemon juice. Apply all over the face and leave it there for 15 minutes. Rinse with warm water. 5. Tomatoes Mash ripe tomatoes then drain the juice with a paper towel. Pat the pieces of tomatoes onto face while lying back. Leave for 15 to 20 minutes. This can treat and prevent acne. It is especially effective for people with oily skin. Though these homemade acne treatments are available easily. It is better to consult with your doctor to avoid any side effects that may be caused. 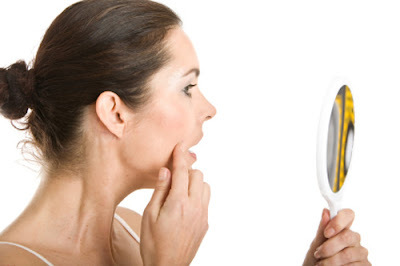 Find more information about acne by exploring our site here!